11th June 2017	/ Comments Off on We are eagerly awaiting the arrival of our new Power Climber Tower Maintenance platform to kick start our Tower Maintenance program. Watch this space! Blade Tech Services won Best Startup Business at the Cavan Co. Enterprise Awards 2017. 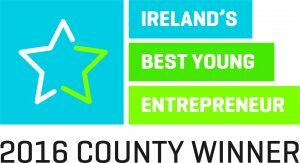 Blade Tech Services came second place in the 2016 Irish Best Young Entrepreneurs competition for Co. Cavan.